With the holidays comes shopping, gatherings, and travel. It’s a wonderful but, also very busy time of year. 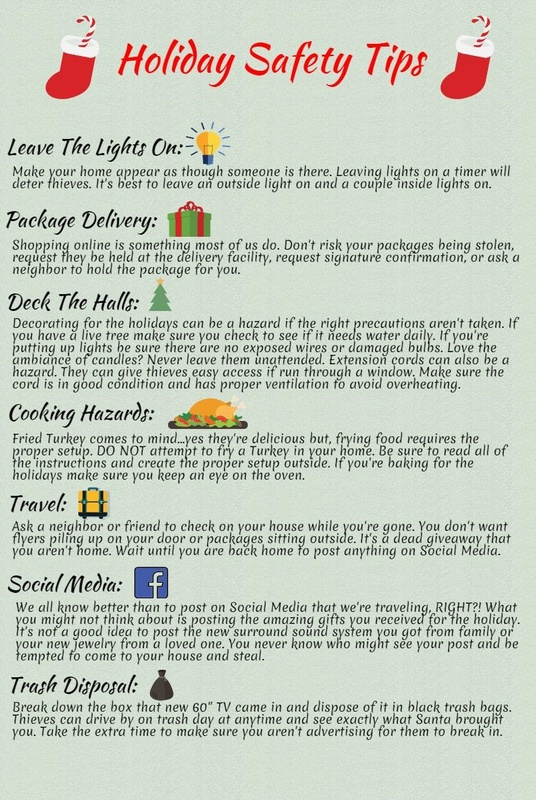 Be sure to keep these safety tips in mind to make sure you, your loved ones, and your home have a happy and SAFE holiday season!